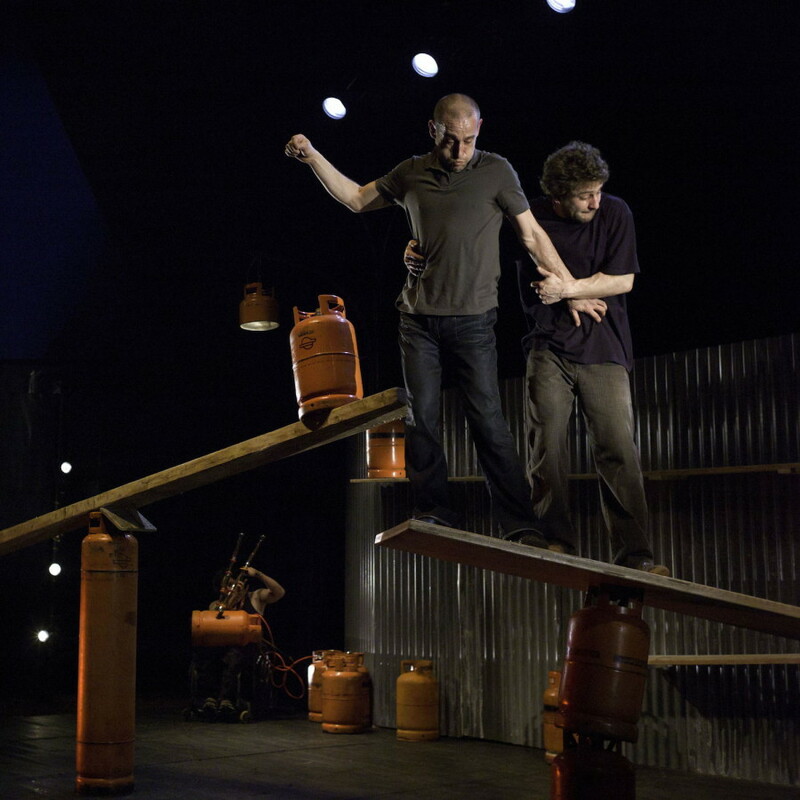 Precariously balanced corrugated iron, wooden planks and propane gas cylinders provide the playground for these three madcap acrobats in Extrêmités; one of whom is in a wheelchair. 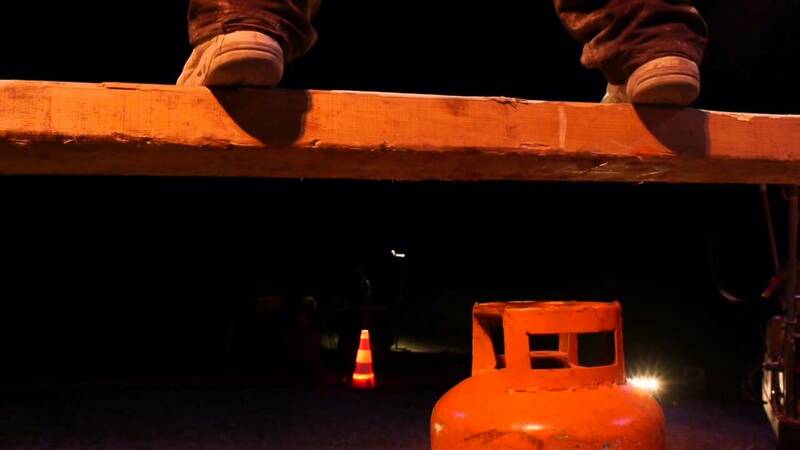 Always in danger of collapse, the cylinders pitching and rolling beneath their feet, their search for balance is suffocatingly tense. 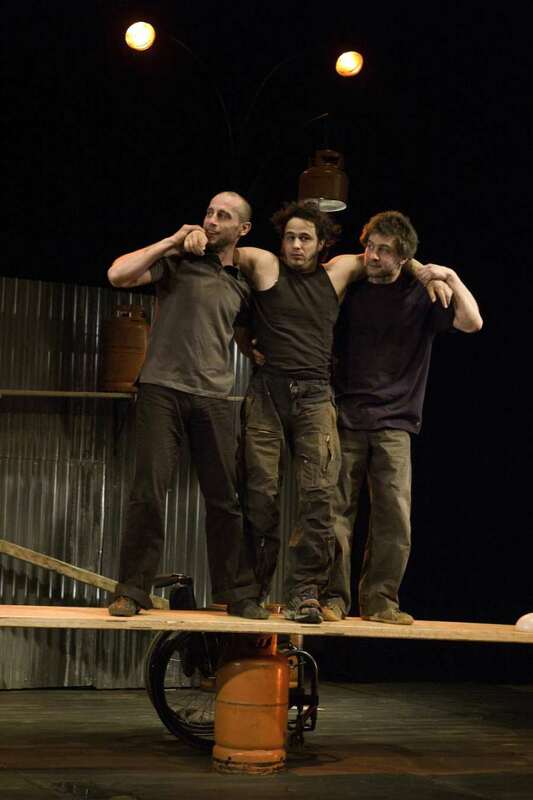 Extension features the same 3 performers from Extrêmités, but this time the character in the wheelchair uses a digger to seek revenge. Slapstick humour and surrealist tomfoolery for all ages. 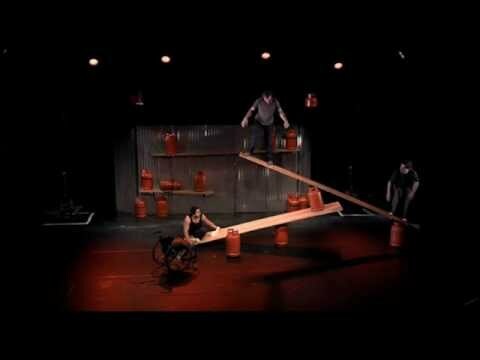 A laugh out loud solo performance on a trampoline. 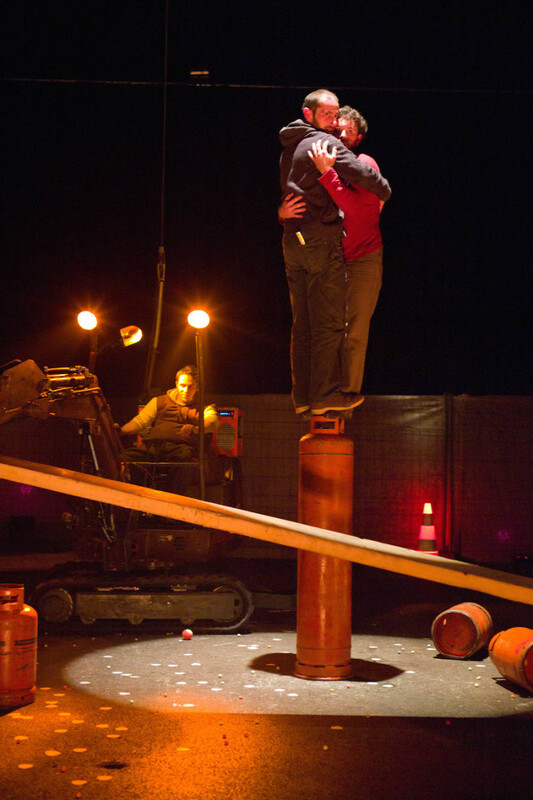 Cirque Inextremiste is a new company comprising highly skilled, hand-to-hand acrobats. What make them so special is their mixed physical abilities and their unique talent to mix humour and high energy with clever technical tricks. 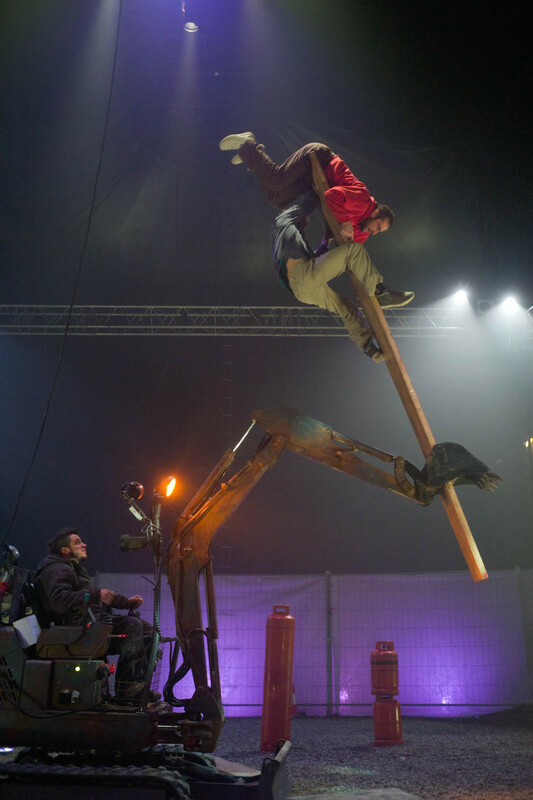 Inextremiste, their first creation, is a small-scale show that has proved to be highly popular and it was followed by Extrêmités and Extension; all three shows have toured extensively in Europe.